I remember back in junior school making stained glass style ornaments from black paper and cellophane. They looked so pretty on the windows! 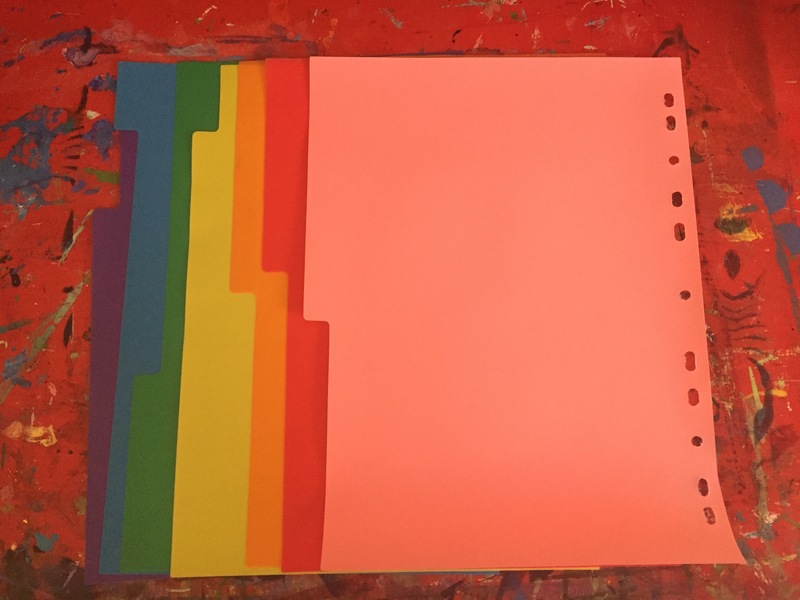 So when I came across a box of old stationery that included these plastic folder dividers, I wondered if they could be used in a similar way? For some completely unknown and bizarre reason I decided that an alpaca was the only thing I would want to make from them. I mean what else would you choose? 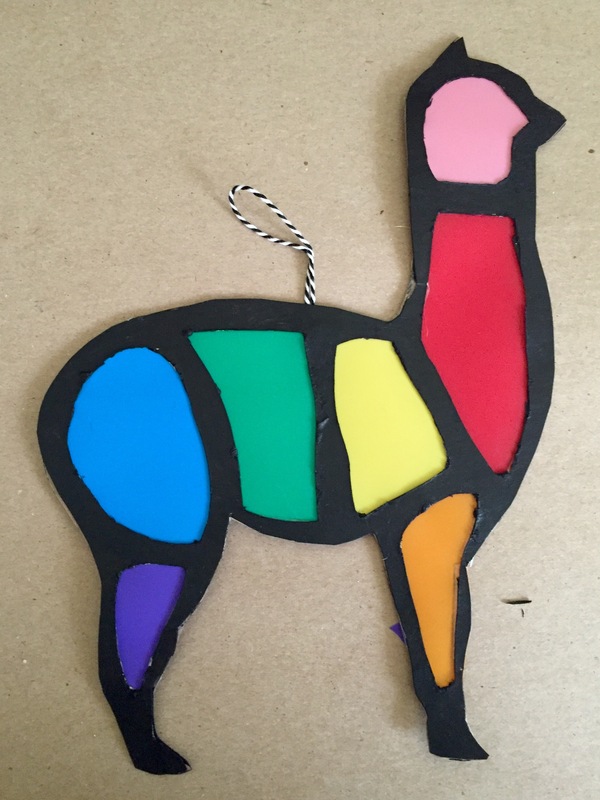 So I found an alpaca silhouette on the internet and some cardboard and proceeded to make a stained glass alpaca frame! 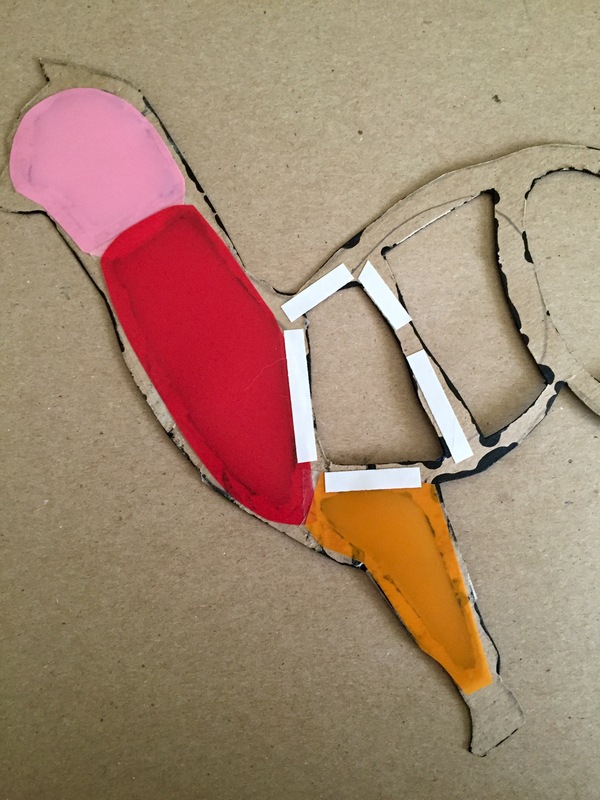 Once cut and painted, all I needed was some double sided tape and the plastic cut into the right shapes. Then some more tape and a pice of string at the top for hanging and it was time to stick the other side on. 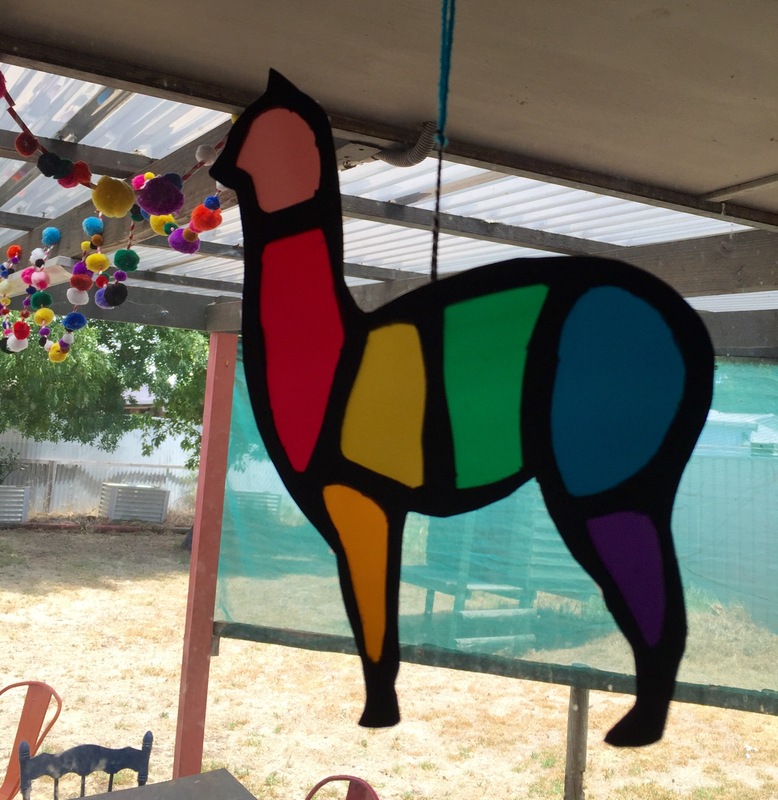 So now I have a cute alpaca hanging in my kitchen window! It’s hard to tell in these pictures, but the light really shines through the colours. 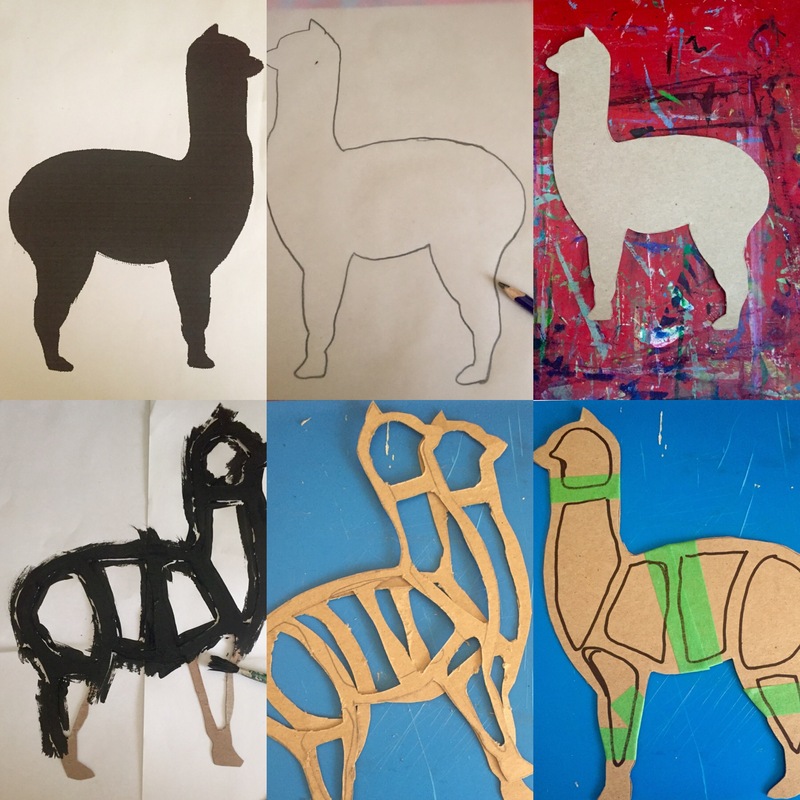 This entry was posted in Craft Projects, Upcycling and tagged alpaca, animal, card, craft, paper, stained glass. Bookmark the permalink.